Happy Chocolate Chip Cookie Day! What a wonderful day to celebrate! Bake some and make a friend! Merry Christmas from the Art History Museum! 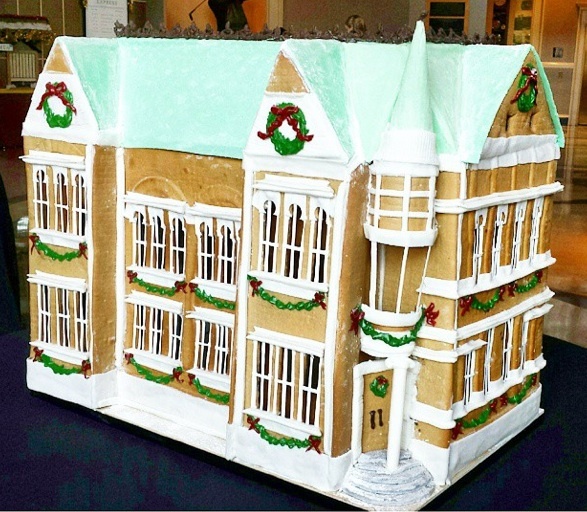 Go by and check out the Gingerbread Village and crafts for kids! Spangle out your cake at your next party! Cake and coffee...hmmm...what a winning combo for such a great occasion! Happy Birthday Buona Cafe! Glad we could heat up your evening with a special cake! Julia Child says it best. If you love color and want your cake to pop for your next event in Augusta talk to us! Love chocolate? We do too! Have an event in the Augusta area that needs some chocolate love? We want to make a chocolate delight just for you! Delicious one of a kind memories for your big day!